In This tutorial, we will explain how to create GST Inventory Groups In Tally. In the Stock Group Creation Window, fill the following information. 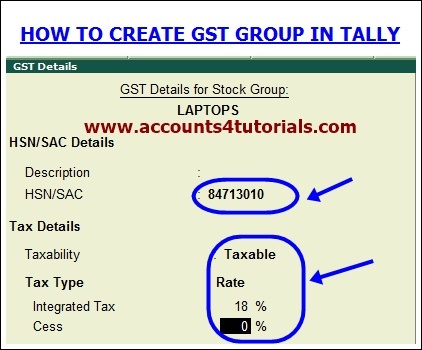 In GST Details Window, fill the following information.